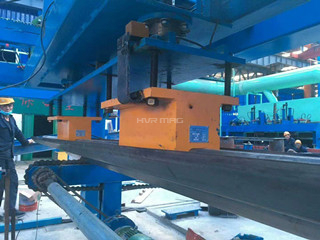 HVR MAG producing electro permanent lifting magnet are widely used to handling steel sheets in steel structure, shipbuilding and offshore, rail transport industries etc. Electro permanent magnetic quick mold changing system are widely used in molds and dies industries, automation and plastic industries for mold changing. Electro permanent magnetic chuck are widely used in CNC machining, milling machining, lathe machining and grinding machining etc. 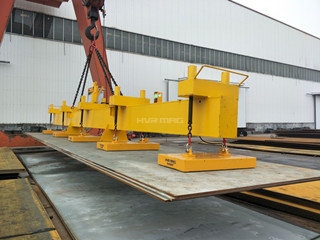 Electro permanent magnet system is intrinsically safe being not affected by any electrical power failure. It combines the advantages of safety of permanent magnet and efficiency electromagnetic lifters. No battery back up system is required. With no moving parts and no heat generation, it tends to be more reliable. It avoids all the problems associated with conventional methods of lifting, without compression or deformations. Quality Controlling：Brand raw material ,professional designer's drawing ,22 years experienced QC technicians. 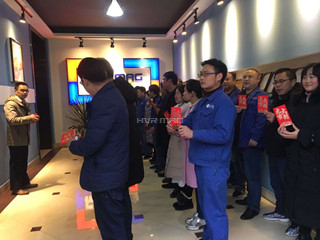 CHINA PING AN INSURANCE GROUP insuring products 2 years for oversea customer. Engineers available for overseas installation. What is electro permanent magnetic technology ?